Southwest Medical Center’s hospitalist program has reached its fifth year of service in providing care for patients admitted to the regional healthcare facility. The program, directed by Andrey Ilyasov, M.D., was implemented in 2014 and has since become a crucial service for physicians looking to keep care closer to home for their patients in Southwest Kansas. Southwest Medical Center’s hospitalist team has grown to include three physicians and six physician assistants who work closely with ER physicians and patients’ primary care providers to deliver 24/7 care for adult patients during their hospital stay. Hospitalist programs are a growing trend throughout hospitals in the U.S., but building a successful program has its challenges. With the proper support in place, Ilyasov explains building a successful hospitalist program required continued collaborations with many stakeholders. The hospitalist program has brought many advantages for patients served and the regional medical community as a whole. Local physician, Rick Fitzgerald, M.D., has practiced Internal Medicine in Liberal since 1997. Dr. Fitzgerald says Southwest Medical Center’s hospitalist program has met the needs of patients in a changing healthcare environment. Patients visiting emergency departments also benefit from an active hospitalist program, as ER physicians can collaborate with a hospitalist physician to directly admit them or transfer them to Southwest Medical Center as an inpatient. Southwest Medical Center’s Emergency Department Director, Edwin McGroarty, M.D., describes the program as highly effective in transitioning patients from the Emergency Room to an inpatient stay as needed for their care. Southwest Medical Center’s hospitalist program has also implemented a One-Call feature, through which physicians in surrounding communities can more easily transfer adult patients to Liberal for an inpatient stay. These patients meet specific criteria for admission, and are able to receive the right level of care for their needs at Southwest Medical Center without the need to travel to a larger city. Southwest Medical Center President and CEO, Bill Ermann, says the hospitalist program has assisted in increasing patient visits to the facility, while at the same time enhancing the care environment for patients and physicians. 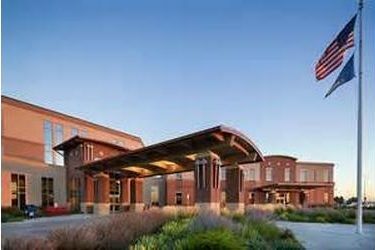 Southwest Medical Center is a 101-bed, not-for profit regional medical center located in Liberal, Kansas. Information about the facility’s hospitalist services and care providers is available at www.swmedcenter.com.